Unfortunately, setting it up is a little bit cumbersome so I thought I’d provide a set of steps to follow when setting all of this up. And you’re running MAMP and are using at least PHP 5.5.26 in your installation (though you really can be running any version – just pay close attention to the commands later in the article). Pear is an extension an application repository for PHP that makes it easy to install packages you may not already have installed. If you’re working in Linux or OS X then there’s a chance your system is not setup the version of Pear that’s included with your copy of MAMP. 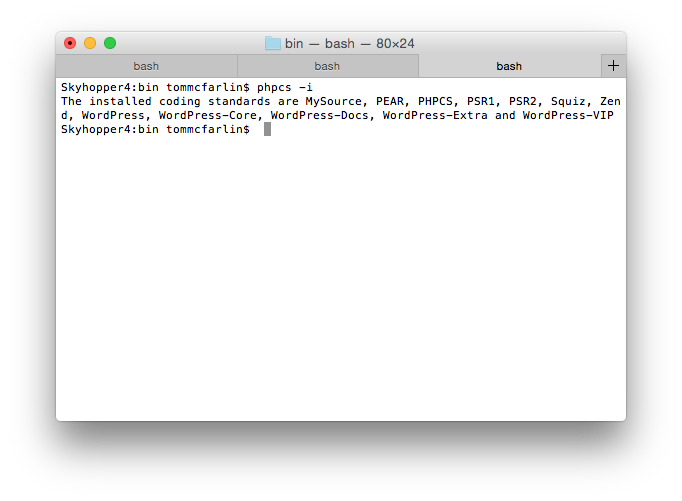 To fix this, we need to update an environmental path so it references the version of Pear that’s included with the version of Pear corresponding to the version of PHP you’re using. As mentioned in the case above, if you’re using PHP 5.5.26, then this will be located in that particular directory on your machine. Next, add this copy of Pear to your environmental variables so it’s used in place of whatever other copy of Pear is being used through your system. To do this, we need to add the location of this copy of Pear to your .profile. This will write the path of the directory we’re currently in to the .profile associated with your account. At this point, you should be able to run $ which pear and see the file being referenced is the one in the MAMP directory. If not, open .profile and make sure the directory you’re currently in is at the very beginning of the file. There are a few ways to go about doing this, but since I just walked through the whole process of setting up pear, then that’s the route I’m opting to take (others include using Composer). And this will begin downloading the package and installing it on your system. Once done, we’re ready to install the sniffer for the WordPress Coding Standards. 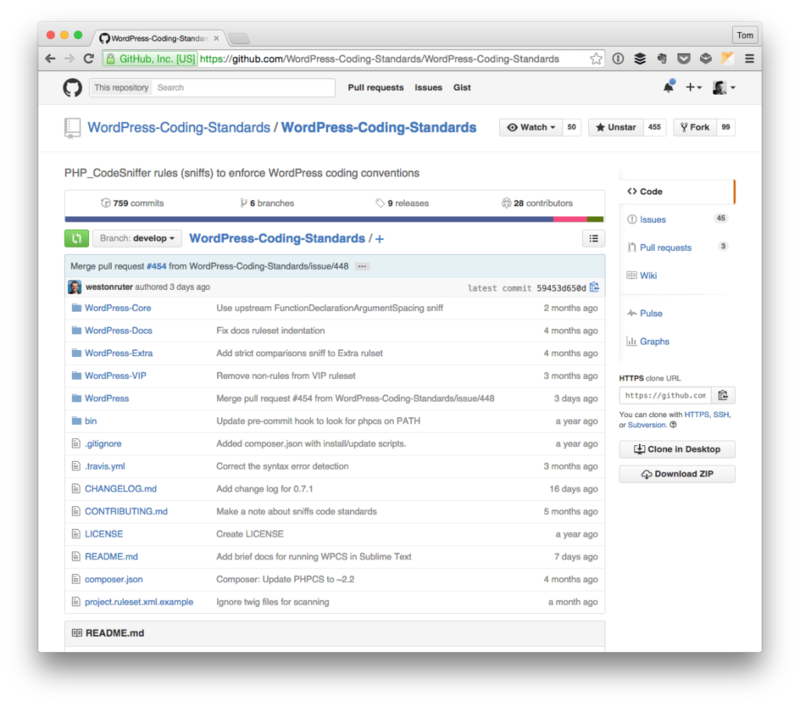 Assuming the previous installation went well, the next thing to do is to install and configure the rules for the WordPress Coding Standards. Here’s the thing: It’s not located in the Pear repository so we’ll have to use the Git repository in order to do it. This assumes you have Git installed on your system (if not, it’s easy to do). If you’re like me, then you like to keep your directories organized with a specific scheme to help manage your files. To that end, think about where you want the WordPress rules downloaded. 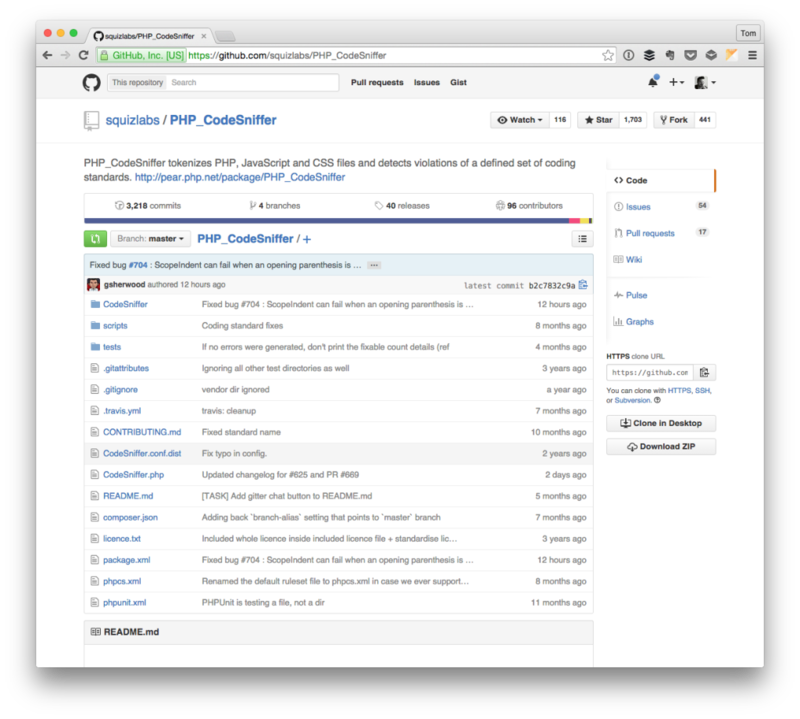 It doesn’t really matter since the rules will be added to the PHP CodeSniffer; however, I consider it an add-on to the PHP CodeSniffer so wherever that extension has been installed is where I’d also like to install the WordPress Coding Standards sniffer. 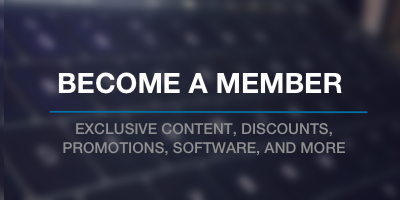 Notice towards the end, you’ll see all of the available WordPress rules. To test the installation, navigate to a WordPress plugin directory in your local install. Let’s say we want to sniff one of the files in the Hello Dolly plugin. Notice the generated table produces the line number, the error, and what should be done to fix the code. Granted, it might make project development more time-consuming but, in my mind, quality is worth it. The best advice I can offer is to run this after working through a given file rather than waiting until the very end in order to go back and work through all the errors that may appear once the project is done. Thanks for this tutorial. I have been digging around on how to get this to work for a while now. Is there a way to export the report rather than view in command-line? I appreciate the instructions here, but I would not use PEAR for this. You can install this either directly via homebrew or the alternative you suggest, composer global. 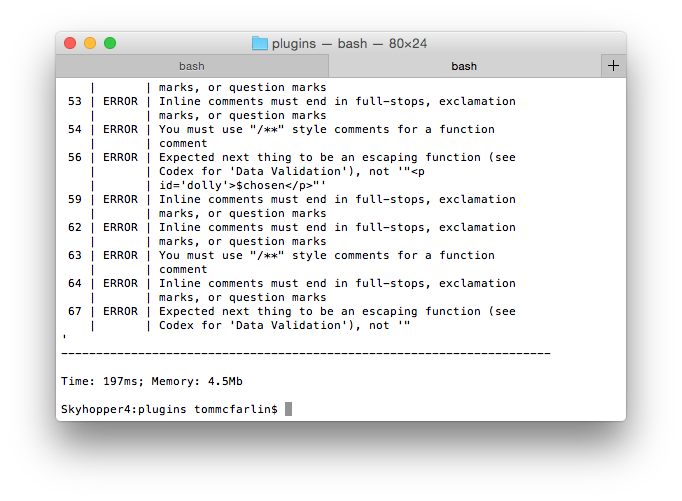 If you’re running a command line utility like phpcs, you don’t strictly need to use MAMPs PHP version to handle this stuff, as OSX comes with PHP preinstalled, so you can just use the system’s version. PEAR is really old/outdated, and a number of PHP libraries are pulling themselves off of it, most importantly being PHPUnit (https://github.com/sebastianbergmann/phpunit/wiki/End-of-Life-for-PEAR-Installation-Method). I wouldn’t rely on PEAR for installing PHP packages at all going forward. That said, I do love me some PHP CodeSniffer and definitely like to see more people advocating for its use! I appreciate the instructions here, but I would not use PEAR for this. You can install this either directly via homebrew or the alternative you suggest, composer global. If you’re running a command line utility like phpcs, you don’t strictly need to use MAMPs PHP version to handle this stuff, as OSX comes with PHP preinstalled, so you can just use the system’s version. Thanks for following up with information on Composer. Maybe I’ll do a follow-up post that walks through how to use it instead of Pear for those who want to use more recent tools. True – this doesn’t have to be done with MAMP but since most people have some type of development environment setup, I opted to go with it (also because I use it :), but many of the instructions work just as well with whatever version of PHP you have installed. Once you have PHP Code Sniffer running with Pear you can also integrate it with Grunt (https://www.npmjs.com/package/grunt-phpcs) there is also a few ways to do it with Gulp (https://www.npmjs.com/package/grunt-phpcs, or https://www.npmjs.com/package/gulp-phpcs). Though I’ve been working Brackets from Adobe (www.brackets.io) for the past few months, and it has PHP Code Sniffer built-in and includes the WordPress standards that can be enabled. The errors then show up in a docked panel at the bottom of the coding area. Brackets also has a number of extensions for auto-complete for WordPress core code, functions, query etc. Either way you do it though PHP Code Sniffer is a great way to ensure you are writing quality code! Thanks for mentioning this – I think that PHPCS is one of those things that should included in the toolkit for any developer. The tough part is integrating it with the rest of your workflow ;). The other plus of doing it with composer is you can add sniffing scripts to your composer.json file and check your project’s codestyle consistently. Right now, I’ve been using a chain of commands in terminal to do just that, so knowing that it has the ability to parse the composer file is a +1 in my book. I’ll do that follow up post soon enough (probably in a couple of weeks right now). Should note that after changing your .profile file you should logout/login or source the file to have the results in your current shell. PhpStorm also has some support for Code Sniffer, but I haven’t taken the time to try it out yet. Good point – thanks for mentioning this. I personally don’t use PHPStorm but I know a lot of people who do, so having it available in the IDE is nice. In doing it I noticed a few things that were wrong with your article. 3) a general comment – I found it easier to git clone from the https url as I don’t have the gitup ssh certificates setup since I normally use the github visual client. Meh. That’s encoding. I’ll take care of that (again :). Thanks for the heads up! Noted and will be fixed! Good catch and my bad on missing it. Not a bad note to have here. I’m also planning a follow up on how to use Composer to install this, well. When I draft that article, I’ll see about mentioning this comment in the post, as well. I don’t know why it always claims these fault when I run ‘phpcs blabla.php’. Looking forward to your reply. These messages usually mean that the installation of PHPCS wasn’t successful. 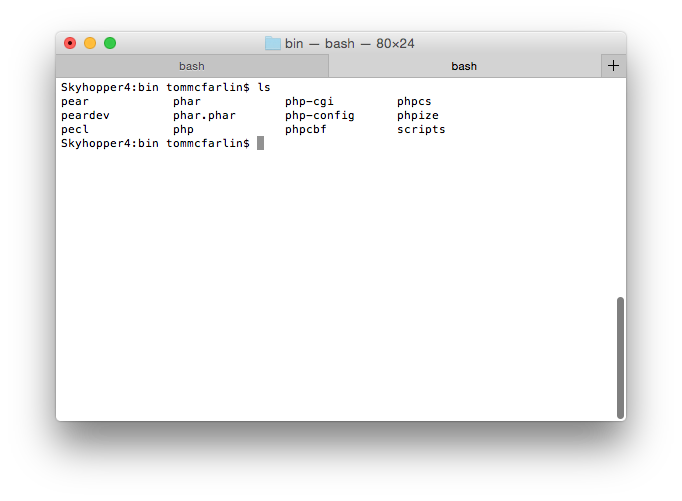 If you do an ls /usr/local/bin, do you see PHPCS in the directory? Further, in the terminal, if you run phpcs -i, do you get any information back?